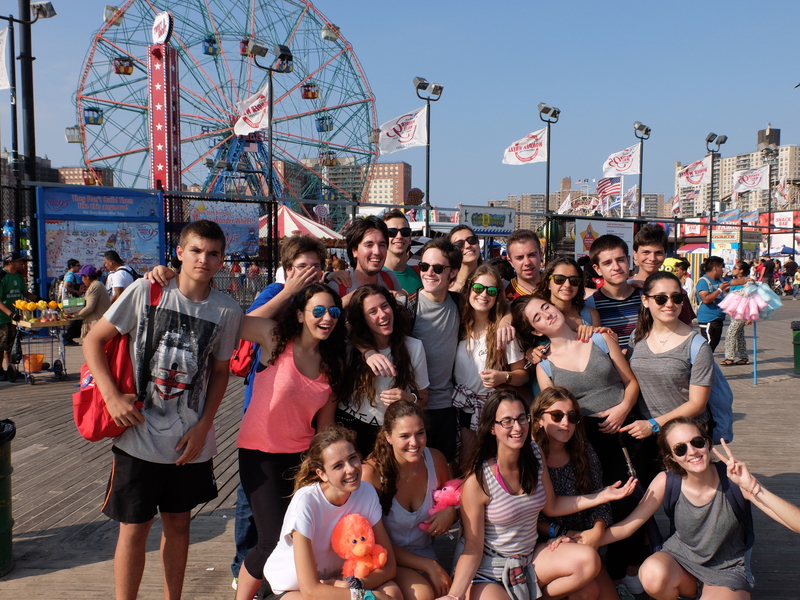 Summer Junior English camp in NYC + & our brand new residence! 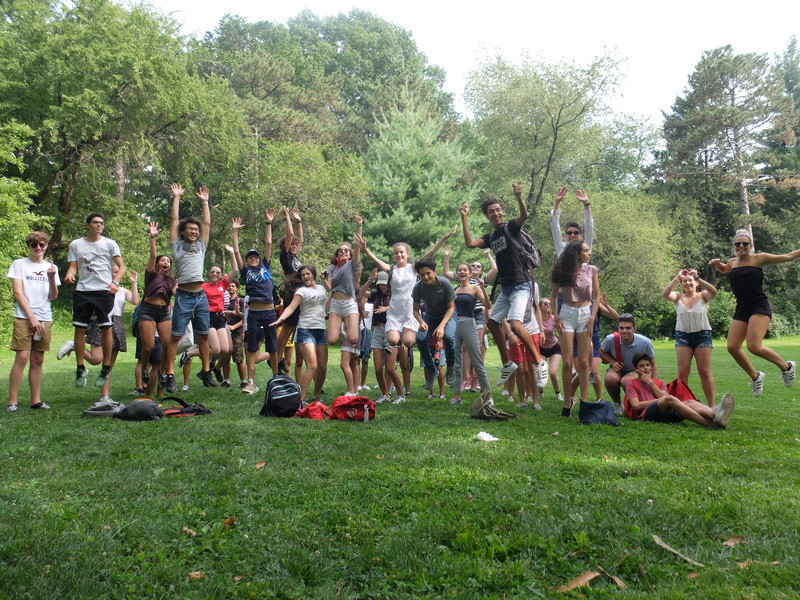 Our Summer Junior English camp in New York is designed for students aged 13 to 17 years old. 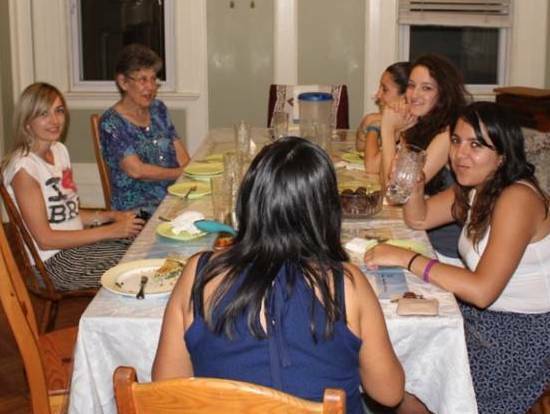 Students can either choose in our student residence or in a local Brooklyn homestay. The camp includes general English lessons, full board accommodation in twin rooms in the student residence or a host family, as well as a full program of supervised activities and excursions. 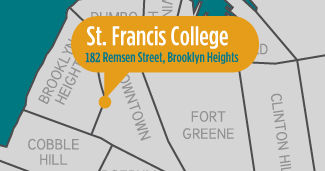 The camp takes place at St Francis College, located in the heart of Brooklyn Heights, New York, 2 minutes’ walk from our year-round English Language school. St Francis, founded more than 150 years ago, is a small private co-educational college. 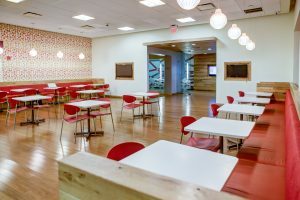 Facilities at the college include bright and spacious classrooms, and a cafeteria where students can have lunch on weekdays before heading out to their afternoon activities. There are 3 subway stations and 8 subway lines accessible within a 3-minute walk: 2, 3, 4, 5, A, C, F and R.
Click here for more info on our Year-round English classes for Adults. There are 5 half-day excursions and 1 full-day excursion per week (except the last week when Saturday is departure day). 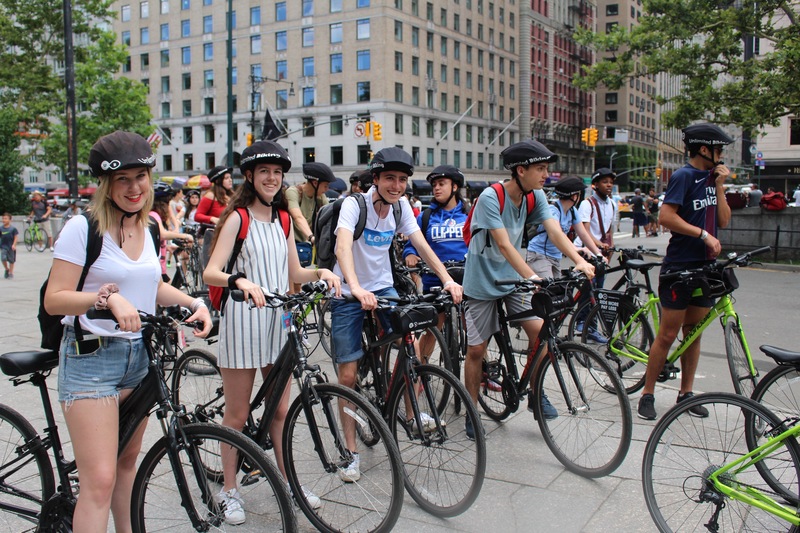 Our activity program is designed to include the best of New York City and alternate between fun and educational outings. 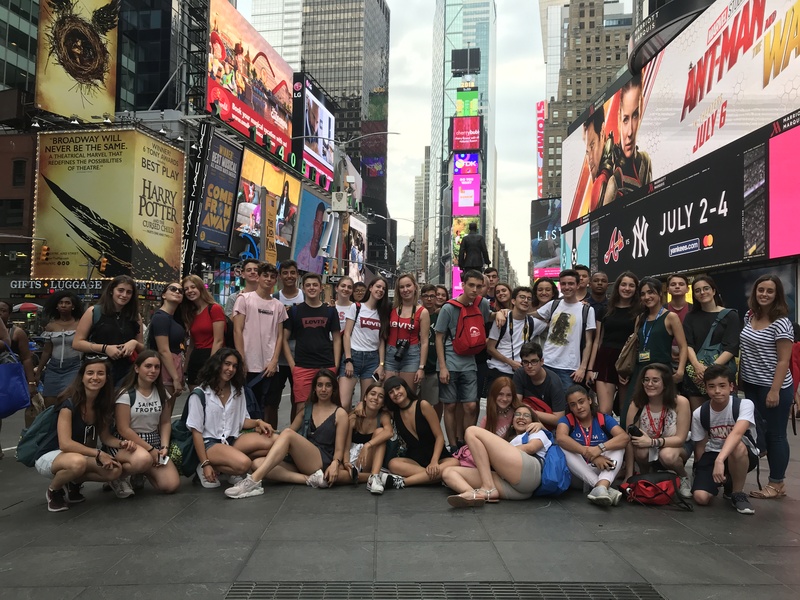 Summer is a great time to discover New York and our students will have the chance to take part in some real American activities to enjoy a typical summer in the city! Wednesday – Summer in the city! Fun time to do some shopping, play sports in the park or go bowling, followed by an evening dinner in a typical restaurant. Saturdays – Summer in the City! 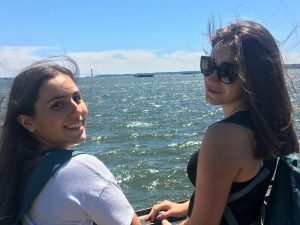 Excursion to the Statue of Liberty & Ellis Island, and a Broadway Show…. 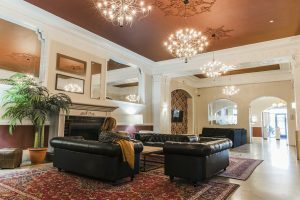 At BSL, we know that accommodation is an important factor to a successful trip abroad, so we spend a lot of time selecting the right families for our Summer Junior English camp in New York. They are all based in Brooklyn and the average journey time to the school on public transport is 30 minutes (can be longer for some homestays). A host family can be a couple with children, a retired couple, a single parent or even a single person. 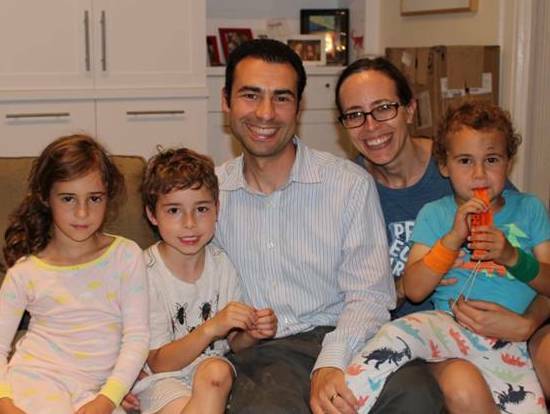 Ethnic diversity is an important factor of New York’s cultural identity, so some hosts may be of Asian or Latin descent, but English is always spoken in the home. Regardless of their background and circumstances, all our host families have in common the wish to make every student’s stay as comfortable and relaxing as possible. Living as part of an English-speaking household is simply the best way to truly immerse yourself in the language and culture of a country. Students will be practicing the English they have learned every day with other English speakers, which means that they will never stop learning and improving fluency. It is also a great chance to get to know people living in New York and share their way of life. 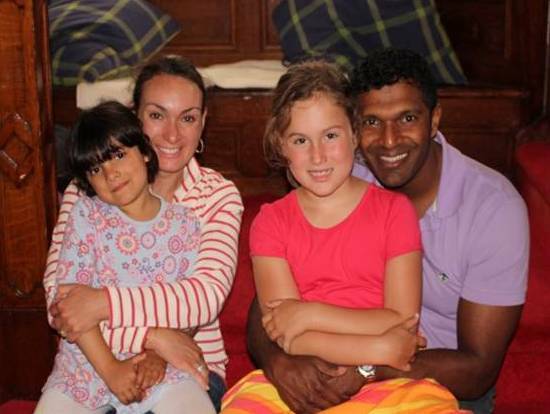 Hosts will welcome youngsters in their home as a member of their family, and in return will expect them to adapt to their way of life (meal times for example may be different to the home country). Mutual respect is the key to a successful stay. Arrival day is on the Sunday before the course starts. Departure day is on the Saturday after the course ends. We can arrange for an extra night on each end of the stay if necessary (at an extra cost) to fit with flight timetables. Towels and bed linen are provided. It is not common for US homes to have a washing machine but in that case laundromats are always available nearby (around $5 per wash/dry). Host families also have the responsibility to make sure students respect their curfew and are home safely in the evening. Our residence is located just a 10 minutes’ walk to St. Francis College and only one subway stop from Manhattan, so its in the perfect location for Summer Junior English camp in New York. Rooms are fully furnished with beds, desks and closets that maximize living space. There is free wi-fi , cable tv, refrigerator, and microwave in all rooms. 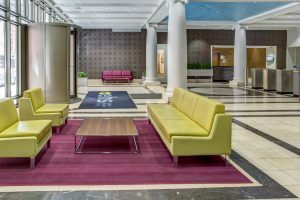 On-site features include 24 hour security, key card entrance to residence and rooms, recreational lounges including a pool table and movie room, vending machines, and 24 hour access to I-pads in the lobby. Located just a short walk from St. Francis College, which gives all our young students easy access to the school and the activities taking place each day. The residence also has a wide range of facilities on-site. Staying in the residence is a great way to enjoy living in Brooklyn Heights, one of Brooklyn’s most beautiful, and a lively and popular neighborhood. Arrival day is on the Sunday before the course starts. Departure day is on the Saturday after the course ends. 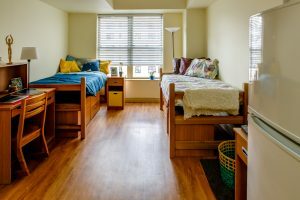 Students stay in twin rooms with another BSL student of the same gender but different nationality, and share an en-suite bathroom. Continental breakfast is served every morning in the residence cafeteria. Then students make their way to school together on foot. It is only a 10 minute walk. Lunch will be served at St. Francis College on weekdays, and students will get packed lunches for the Saturday excursions. Evening dinner is served every day in the residence cafeteria except Friday evening when the teens have dinner out. Bed linens are provided but towels are not. Laundry facilities are available on the lower ground floor of the residence, at an extra cost (about $6 for a wash and dry). Activities and excursions are led by experienced activity leaders, at a ratio of 15 students per leader. They are here to make sure the students are safe at all times during outings. The activity program is compulsory and students must attend all the supervised activities organized by the school. A health form informing us of any allergies/treatments will be sent out to the parents at the time of booking, and should be returned completed and signed to the school no later than 2 weeks before the start of the course. Students have to be back in their homestay every day after the activities at 6.30pm maximum, except on Fridays when they have dinner out with the group and have to be home at 8.30pm. One of the host families’ duties is to inform the school if a student is late for dinner. Students are not allowed out in the evening unless their host families take them out. Q: Is New York safe enough for teens? A: Despite having a population of more than 8 million people, New York City consistently ranks in the top ten safest large cities in the United States. As in any large city, travelers should be careful of pickpockets and hustlers, but our leaders are here to guide students and give them safety tips. Q: My child has a food allergy, how will this be handled? A: Any health and dietary requirements (allergies, special diets, medical conditions, etc…) need to be included in the enrollment form, so that we can inform the host at the time of booking. Staff and families will be aware of these and take them into account at meal times. Q: What if my child is homesick and wants to go home? 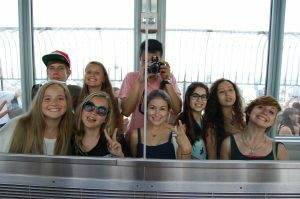 A: The first couple of days are often quite daunting, as students adjust to a new country and customs, new language, and new friends. This is normal and usually goes away after they’ve settled in. If the homesickness persists however, your child can go home but please note that no refund will be possible and the school will not be held responsible for extra charges involved (change of flight etc…). 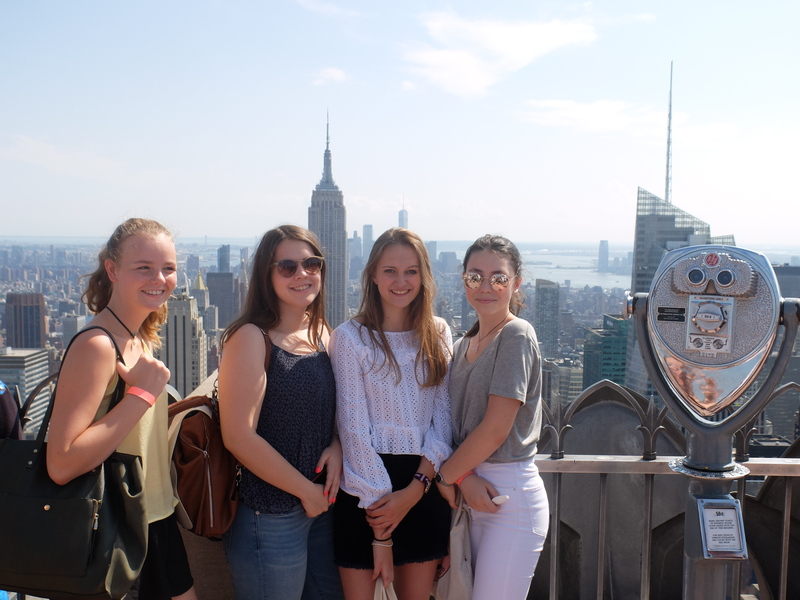 We recommend that you encourage your child to stay in New York though, as we know from experience that after the initial fear of the unknown, our students have a great time and don’t want to leave! Q: How do I contact my child? A: You will be provided with the address and telephone number of the host family. You will also be able to be in touch by email as all students get some free time to use the internet. Q: Should insurance be taken out to cover my child’s stay on the course? A: Yes, it is highly recommended that every student have an insurance package before leaving home. Q: How much pocket money will my child need to bring? A: As a general guideline $100/€75 a week is ample. Your child may wish to purchase souvenirs, drinks and snacks. Money can be given to staff or group leaders for safekeeping. Q: Will my child be able to exchange currency while in New York? A: Yes, staff will help the students change money into US Dollars at local banks and travel shops. It is a good idea to arrive with a small amount of local currency for immediate needs such as phone cards. Full Package with host family accommodation (includes English lessons, daily lunch, activities & excursions, half-board accommodation in twin rooms, and subway pass). Sunday arrival, Saturday departure. Full Package with residential accommodation (includes English lessons, daily lunch, activities & excursions, half-board accommodation in twin rooms, and subway pass). Sunday arrival, Saturday departure. *** The UM transfer includes picking up the student at the airport from the airline’s UM service on arrival. On departure it includes helping the student check-in and staying at the airport until the flight has departed.